SAR vice president Ray Beall (left) presented Wharton I.S.D. 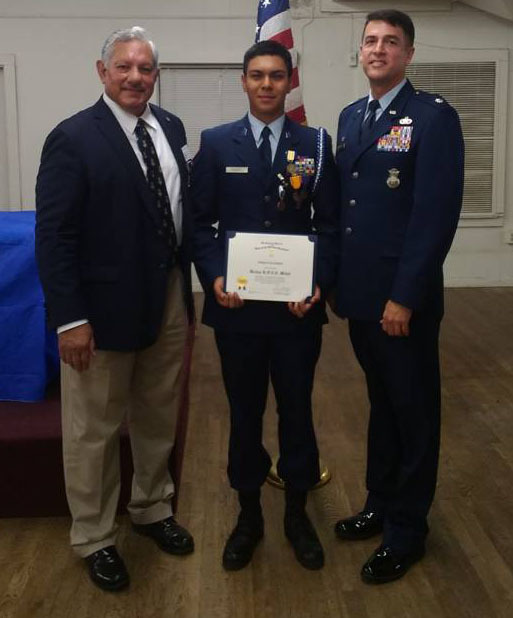 junior Jordan Ramirez the bronze medal and certificate for ROTC (center) Byrl R. Engel, Lt. Colonel., USAF (right) on May 25, 2017. Jordan also received $750.00 scholarship for winning second place in the state essay contest.